Housing is critical to quality of life, especially for older adults. A 2014 report released by the Harvard Joint Center for Housing Studies and AARP Foundation discusses how America’s older population is experiencing unprecedented growth, but the country is not prepared to meet the housing needs of this aging group. In honor of National Homeownership Month, the team at CCM is shining a spotlight on one of our most important impact themes: affordable housing. 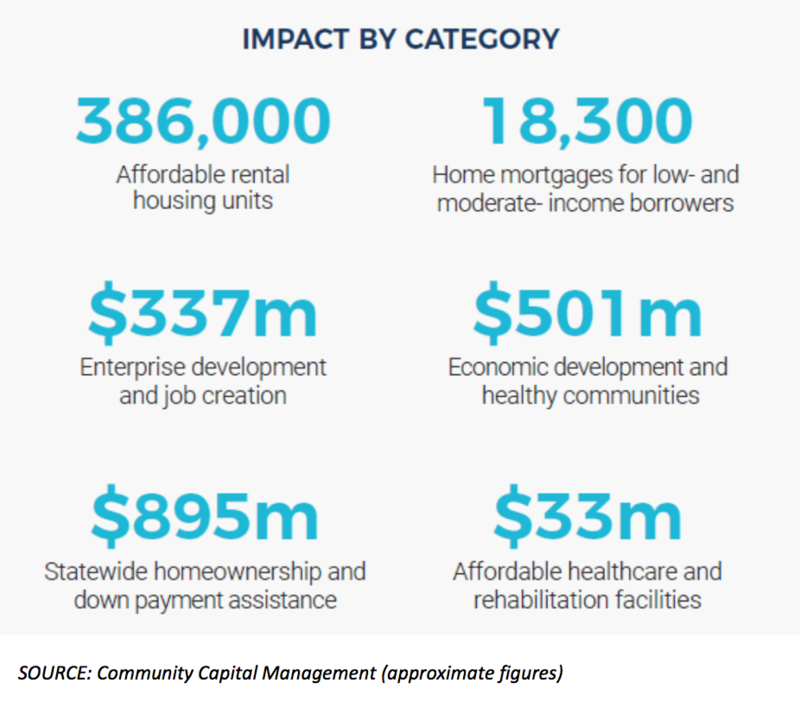 Since our inception in 1999, we have helped facilitate 18,300 home mortgages for low- and moderate-income borrowers, provided $895 million in statewide homeownership and down payment assistance and funded 386,000 affordable rental housing units. Affordable housing is an increasingly important theme since the housing crisis in America appears to be getting worse, despite some short-term improvements.